Welcome to BOOK CLUB, which I run with co-conspirator Nicole from Linus’s Blanket. Today we will be chatting about Galore by Michael Crummey, which was released at the end of March from Other Press (website | twitter | facebook). For those of you reading this post, please remember that this discussion is likely to contain spoilers. Paradise Deep and Gut are insular, isolated Newfoundland communities. Theirs is a hardscrabble life where nothing much changes, in many of the families one generation seems largely interchangeable with another, a constant cycle of birth and death, and birth again. But then, a whale washes ashore. A beached whale represents a bounty for a community that does not have the resources to catch more than cod, but when they slice open the whale’s stomach, a strangely pale man tumbles out. Named Judah due to a disagreement about whether it was Judas or Jonah who was swallowed by the whale in the Bible, the mute man is s subject of fear and wonder for the community by turns. If you plan on participating in today’s BOOK CLUB, please consider subscribing to comments at the bottom of the page (please use the TOP subscription option, the second option will subscribe you only to replies of your own comments). I will be updating this post with new questions and ideas over the course of the day. Judah was seen alternatively as a kind of curse or lucky charm for the community, did how he was seen by others change how you saw or felt towards him? How you felt towards the people around him? It wasn’t until 30 odd pages into Book Two that I knew when Galore was set, when we were told that King-Me died sometime before the end of the Napoleonic Wars. The timeline became more clear towards the end of the novel, but until then seemed that it could have taken place almost any time. Do you think this was a conscious decision on the part of Crummey? Did it enhance or detract from the story for you? Newman, the doctor, finds Newfoundland too fantastical to believe in when he is back in the states. Do you agree with his assessment? If so, was the land still believable to you while reading? The end FASCINATED me. Thoughts? Opinions? Theories? What kinds of questions did you have during your reading? Were they answered? Do you have any other questions for the group? Has anyone read Gabriel Garcia Marquez? Do you think the comparisons between him and Crummey are valid? If so, in what ways? 12 review copies of Galore were provided by Other Press in order to facilitate this discussion. Thank you! First off, general impressions (as I indicated in my comment before reading) were that the book was very similar to Gabriel Garcia Marquez’s short story “The Very Old Man with Enormous Wings” – then I opened the book and saw he quotes Marquez and thought “ahh.” Not that I think it was too close, by any means. But the story lines are similar in some ways – tattered man arrives in odd fashion, seen as not-quite-man, not-quite-angel, and people are torn as to how to treat him. It’s fantastic (link on my blog), so I was definitely expecting some magical realism, which is why, to me, he didn’t clearly define time period right off. A lot of magical realism feels timeless, and this was no exception. The end? Same here. Fascinating, but again, I think it’s part of that timelessness, that life is simply a cycle, so is he Judah and vice versa? It certainly made me wonder if that was what he was attempting to say. I thought it was beautiful, though. And the fact that his descendants also carry his scent? So cool. Another sort-of folkish element, because people were often considered “marked” by life experiences, so not only is Judah marked, but so are his kin. Anyway, sorry for rambling, but this book was just so great. Jen – have you read Allende’s The House of the Spirits? There was so much that reminded me of it. Would you believe I haven’t read any Allende? I’m putting out on my list! I know, I know. She is someone I’ve been meaning to read for years! I haven’t either! I know, totally terrible. But I have two of hers on my shelf, so hopefully soon. I haven’t read that short story by Marquez, Jen, but I am going to look for it and read it soon. I read a few reviews that compared Galore to Marquez’s “One Hundred Years of Solitude” which, unfortunately, I haven’t read either. Has any body read that book and do you think it compares to Galore in anyway? Yes, it is like One Hundred Years of Solitude (which is my favorite book of all time!) in that they both chart the rise and fall of a community within about a 100 years (or so) time span. A number of families are present throughout, but Mary Tryphena is the one that is present for all but the very end. There is a similar character in One Hundred Years. It also has a similar feel to it – it’s hard to place exactly. It’s the sense of mystery, faith, and acceptance that there are things in this world that cannot be explained. Galore is a very respectful homage to the type of tale that Garcia Marquez was trying to tell without being an imitation of it. Amy – check out my review. I link to a copy of the short story. Speaking of which, did I miss anyone’s review? If so, leave me a link here and I’ll add it! Ha! Well being that we were the ones to determine the reading list, I think it is safe to say that I would have read this book with or without book club. I agree with Jenn about The House of the Spirits. Fabulous book Jen, if you have not read it. I was a little less pleased with the scent thing and his kids. I think that the hiding of time worked with both the magical elements and with just how isolated they were. You often hear about people discovering pockets of the word that hadn’t been known before and it’s like stepping back in time. One of my favorite parts of the book was the way Crummey had the little reveals of character going on throughout the book. Probably my favorite one was figuring out the Gallery situation with Phelan. Now that was really interesting. Did anyone else have a favorite or shocking reveal? In general, I just loved the stories that the book contained. The world was so different than anything I had previously read and there were so many people that I was surprised that it held my attention the way it did. It was so compelling. Large casts of characters tend to be rather hit or miss, with some more interesting than others, but here I was fascinated with everyone, so I didn’t have those moments where I wasn’t engaged. I totally agree about the Gallery/Phelan thing. My first impression was that he had an accident that impaired his brain function after he murdered the other man, I was very surprised when I found out what he really was! Oops, I meant to add to my comment that Mr. Gallery’s “situation” took my by surprise, too. I had no inkling about that until the story unfolded. I agree too about Gallery’s situation, it definitely took me by surprise! I thought it was a really interesting element to the story. I had to travel unexpectedly (and emergently) back to New Hampshire and am still here – so I am a bit behind schedule with my reading right now. I’m just over 1/2 finished with the book and hope I can get it done soon and post my review – ah, life happens, right? BUT that said, I think I can answer most of the posted questions. I am not a big fan of magical realism, so I most likely would NOT have picked up this book on my own – but, I am finding that the way Crummey is structuring this book has totally sucked me in and I am really enjoying it. I think it is the characters who are engaging me so much – I love novels with quirky, odd characters. Judah is a very interesting character – I am not sure how I feel about him. I think he is probably more of a lucky charm than a curse – but then, I find myself drawn more to the Divine’s than to King-Me’s family…so my feelings probably are influenced a bit by that too. Re: Nicole’s thoughts – I too LOVE how Crummey gives us little scraps and tidbits to build the backstory. I thought the Gallery’s story was wonderful (in a sick kind of way!) and it was so interesting how Crummey pulls in the idea of witchcraft and ghosts and parallels it to the traditional religious beliefs. I thought some of the stories were interesting as well as the characters but I becomes bored with the book. I felt more like things that happened on the island were being reported. I really wanted to know the characters more. I think this is a book I would have picked up on my own because it sounds so interesting and unusual in the summary. I’m not a fan of magical realism or a lot of fantasy but I don’t think that would have stopped me from reading this book because I fins folklore fascinating. It is so interesting what does and does not work for different readers. I was actually pleasantly surprised at how much characterization I thought Crummey worked into a book that had such a large number of characters. I thought there were some great characters in Galore…Lizzie, Esther, the entire Woundy family, Absalom and Ann Hope etc. But I was frustrated because I felt like Crummey told us about all these characters from an outsider’s point of view and we didn’t get to know their thoughts, feelings, motivations, likes, dislikes etc. I wanted to know so much about Mary Tryphena, for instance, what did she think about Judah, was she at all curious about him? How did she feel about marrying him? Was she okay with not living in the same house as him their entire married life? Did her thoughts about him change over the years? When she discovered he could write and wanted to know why he never told him this, how come she didn’t ask Judah about it? WHy did she care so much that he could write when she hadn’t shown much interest in him over the years. And I have so many questions about Mary Tryphena and her family!! Amy – now that you mention these questions, I thought those same things. But it never distracted me enough that I thought they were underdeveloped. As Cassandra says above, these people accepted what was. You could feel Mary Tryphena’s wheels turning, for sure. I also think Crummey may not have wanted to focus the narrative too strongly on any one character, and to me, that made it seem more of a sociological exploration of this place and time than anything else. There are some great characters in Galore…Lizzie, Esther (who I think we got to know a little bit), Selina, Tryphie, Absalom etc. I wanted to know more about them, why they did some of the things they did, what they thought about this person or that person, their likes, dislikes beliefs. etc. Mary Tryphena, for instance, married Judah. I wondered what she thought about being, basically, forced to marry him. Did she ever want to live in the same house with him; wasn’t she ever angry that she couldn’t marry anyone else? ; did she feel any shame or something else about what happened with Absalom? ; did she grow to feel any differently towards Judah over the years? ; why did it bother her so much when Judah revealed that he could write? ; why didn’t she ask Judah about the writing? ; why did she bring him his dinner all those years…a sense of obligation? because she loved him on some level? There’s so much I wanted to know about her and so many of the other characters. It’s funny because I can’t say that I didn’t wonder some of those things and want some of those answers, because I did. But it was almost like it was less important to me because it almost seemed to be the way their world worked. They seemed to be very accepting of either simple or no explanations for what they had to endure. Virtue ended up marrying Gallery rather than just saying that she wasn’t interested in him. Everyone accepted that ridiculous feud between Sellers and Devine’s Widow. It had no reason to last as long as it did, yet it affected so many people who didn’t just tell then to get over themselves. I think I just couldn’t want more or expect much more of then than they could for themselves, and yet they still really interested me. I definitely agree. I did have some questions that I wished would’ve have been answered (many of the same questions that Amy has), but I felt like the scope of the story was so large and there were so many characters involved that I was pretty impressed with the depth of the characters that we did get. While more might’ve helped answer some of those questions, I think it might have bogged down the story too much. I agree with Jessica and Nicole – although there are a lot of unanswered questions – I was comfortable just continuing to move forward in the story…and I do think Crummey covered A LOT of ground with so many characters to weave into the story. You all make really good points about the characters accepting their life the way it is with feuds, weird marriages etc., nobody asks questions and so on. I certainly noticed that but that frustrated me, too! I still would have preferred if Crummey gave us more insight into at least one character, such as Mary Tryphena. But I did think that there were a lot of interesting, different characters in Galore. Yikes, family dental emergency. Will be back to discuss this very discussable book as soon as possible. Good luck, Martha. I hope everything is okay! Dopey boy+Sticky Candy (Happy Easter)+Loose Filling=A long wait in the Dentists office. Loved the book though. Can’t wait to discuss. Well, that turned into an all day affair. Boo, looks like I missed a lively discussion. I’m going to have to come back later today and catch up. I’ll be sure to be here for The Convert. hm, I hope no one minds me butting in because I read this book a while ago now, but I was really surprised to see the book compared to Marquez. It was not a connection I made on my own, but now that I am reading this discussion I am starting to see the connections in my mind. It could be because it has been so long since I read One Hundred Years of Solitude, so it is not fresh in my mind in the slightest. I read Galore because 1) Michael Crummey is Canadian and I was offered a review copy way back when and 2) I have read him before and really enjoyed him. This book, though, was very different from what I remembered reading from him previously. I love magic realism, so I was intrigued. I have to admit, I was overall disappointed by this book. I am not sure what it was about it, but it never clicked with me. To be honest, I don’t think I like Crummey’s writing style. When I read him before, I liked the story, but his writing kept me from being entirely sucked into the story. This happened again with this book. There were interesting ideas and I love magic realism, but things kept jarring my reactions. I was so disappointed that I didn’t love this book, I never even reviewed it. Sorry, I read this book 2 years ago now, so I am a little foggy on details. I have to say I am very happy this book is making the rounds 2 years after its release… Just because I didn’t love it, doesn’t mean I don’t think others should read it. We are THRILLED to have you join us, whenever you read the book! He just found a publisher in the States recently, and they just released the book last month, which is part of why it is making the rounds again. I’m hoping maybe Jenn can elaborate for us on the connections she saw with Allende. Hi Kailana, it’s great to read your opinions of Galore. I was also disappointed by this book, but for different reasons. I have read Allende before, although not “House of Spirits” and I’m reading “Daughter of Fortune” now but I don’t see a connection. I’m hoping to read “One Hundred Years of Solitude” by Gabrial Garcia Marquez soon because I’d like to see if I find a similarity with Galore. ‘House of Spirits’ is magic realism, but ‘Daughter of Fortune’ is closer to historical fiction. On another note, I hope you enjoy ‘Daughter of Fortune’ because it remains one of my favourite books ever! I’m really enjoying Daughter of Fortune! It’s a fantastic book! I loved Daughter of Fortune. Until the end. But I won’t give it away. Kailana, I’m not sure if you mean the same thing as I’m thinking but I had a little bit of a problem with his writing as well. In my case, it was some of the grammar/smoothness of the writing. There were so many sentences that weren’t actual sentences (i.e. were missing verbs, or were only clauses that should’ve been tacked on to another sentence), that it tripped me up at times as I was reading. I’m not overly crazy about thinking that books only have to use very traditional grammar rules, but there were some times where it really just bugged me to death that the sentences were awkward. I do think it’s a testament to the story and Crummey’s overall writing, however, that even though this detail drove me nuts sometimes, I still loved the story and was sucked into it most of the time. I think it was more of a problem in the beginning when I wasn’t used to it, but as the story progressed I was able to ignore it a little bit more. I had to start GALORE twice. The first time (with the egalley on my Nook) I couldn’t handle the dashes in place of quotation marks for the dialogue. I read about 20 pages, put it down for 3 weeks, and then picked up the papercopy I had. The second time I barely noticed, but I think sometimes it is just the mood you are in when you encounter those irregularities. Yeah, the dashes were a little odd – I can imagine they’d be weirder on the Nook for sure. I think you’re probably right about mood being a big part of it, there were definitely some times I was completely annoyed and others where I breezed right past any weirdness in the writing without noticing. Jessica – I think much of the awkwardness was the unique language of the place – there were words that seemed “made up” and weird sentences which I felt gave me a flavor for the people and place. Kailana – It reminded me of the house of the spirits because of the opening: Barabas came to us from the sea. And the family saga seemed very much like some of what it was here. Not saying it was exact, but to me, it had a lot of similarities, particularly with the magical realism worked in. Very different cultures, but very similar in a lot of ways. And specifically, I think Marquez’s short story (to me) was much closer in ways. But, of course, I don’t remember much about One Hundred Years of Solitude. I don’t remember House of the Spirits very well. I haven’t read it in years. It’s one of those books that I want to reread and haven’t actually done so yet. I need to reread as well, but there’s so much TO read. Ah well. It may be one I read in bits and pieces. So beautiful. I can only visit very quickly between classes, but I wanted to say something now while I had the chance. I definitely would have read this book – it showed up on my radar early in the year when I read a review comparing it to One Hundred Years of Solitude (which I mention above in a reply), and I hunted it down, finally finding a copy on NetGalley. I’ve had it read for a while. I’m new to the blogging thing and getting review copies, but I would have done anything to get my hands on this book. As it was, I had it pre-ordered to be delivered on release. It came a day early – on my Birthday! That is beside the point, however. I have to get to the next class now, but I will check in again in a few hours. I have some thoughts on the ending that I would like to share. That’s an interesting point. I think I agree to the extent that Judah’s appearance and his possible ability to attract fish, etc. were really the only part of the book I felt were very magical-realism-y. I could make an argument for Mr. Gallery, but I could also argue for him simply being superstition/folklore-y. Good point. Mr. Gallery is a ghost story and many aspects of Galore such as Kerrivann’s Tree and Devine Widow’s potions and ways of healing people are more folklore and fable than magical realism. I’d agree with that. It is much more folk than magical realism. I think he certainly takes the oral tradition to a new level (in term of the folk tales). The one thing about a book this fragmented is that who knows? So much happens that I’m not quite sure. Yeah, there is absolutely no definitive answer, but it occurred to me while I was reading that perhaps it was a possibility and that interpretation really intrigued me. I think you could be on to something though. One of the reasons I didn’t need as MANY answers for the reality piece is that I was enthralled in the story and maybe that is the perfect answer for when we are looking for more than what is given in the narrative. Exactly. It is easier to suspend disbelief when what you’re hearing is family legend or folklore, isn’t it? You know it probably isn’t all true, but it is rooted in facts about the people in your past, so it doesn’t matter. The magical elements in the story didn’t bother me, but I do really like this rational explanation. Sadly, I’m not quite done — I was visiting law schools and didn’t have quite as much time as I thought I would on the trip. But I’m only about 20 pages from the end so I’ll finish on my commute home & update my thoughts when I’m done. But since I’m nearly done, I’ll give my thoughts so far. First off, I love this book. I absolutely love the story, and I’ve really enjoyed following the lives of the families and villagers over the years. It definitely wasn’t a novel full of tons of action, but I found myself engrossed all the same, wanting to keep reading and find out what happened to this person or that person. I found it really interesting that we don’t find out right away when the book is set, and I can see that being a conscious decision. I feel like not knowing when it was set maybe made me focus more on the relationships and people to try and uncover what was going on, as opposed to thinking of the story in a sort of historical sense. I definitely agree with Newman’s assessment that Newfoundland is too fantastical to believe in when he was in the states; I think it was really the characters that made it stay believable much more than the place itself. I was really engrossed in their lives the whole time, and the ways they connected with each other. I do have one irritation with the book, which I mentioned in another comment above, and that was one aspect of Crummey’s writing. He used a lot of descriptive “sentences” that weren’t sentences, just clauses. I often wanted to insert a verb, or change periods to commas and it drove me nuts. I’ll admit, I’m a little bit of a grammar nerd so I’m sure this bugged me more than it would most people, but it was a little jarring sometimes. I will say though, it’s a testament to how good the story is that at times I was so engrossed that I didn’t even notice the non-sentences anymore. Thanks Jenn & Nicole for picking out this book and doing Book Club — I think it’s a book that probably would’ve been on my radar, but I don’t know that I would’ve picked it up right away had it not been for Book Club. I’m so glad I did though, and I can’t wait to finish it tonight! (Or maybe on my lunch break… hmmm… lol.) Galore is definitely a great read. Oh no, typo! I mean *Jen & Nicole. What kind of grammar nazi makes typos? lol. Oh my gosh! Jessica, the thing with the fragments bothered me too. But overall, as you say, I loved it. Unfortunately, I have had a super-busy day. I’m just going to add one thing…I’m really fond of Judah. As for the ending…yeah, I think that’s Judah. I like to think that he found himself on a battle field, once again unable to remember where he came from and finds himself carried along by fate. I expected him to return to Newfoundland and almost for the story to start again – with a new generation, one that had all but forgotten that he had even existed. But then he dives into the water, and that was even better. He was going home. I thought that was perfect. He began in the whale and he would end in the whale. On a side note, the book I read when I got done with this one was Mat Johnson’s, PYM. There are also albino characters – except for their eyes – and they smell like fish, especially when they are upset. They’re not quite human, though. Weird coincidence, huh? And it’s purely a coincidence. Has to be. Judah going back overboard a second time you mean? As in, when he left confinement he traveled to Europe, fought in the war, and on his way back to Newfoundland goes overboard? Very interesting, that’s one I didn’t consider at all, but I like it. I just finished the book and the end was absolutely fascinating. I didn’t entirely know what to think except that it seemed like a perfect ending. Cassandra, I like your theory about it being Judah. I had thought it was possibly Abel, and that the story would come around full circle at the end of a few generations. What theories did others have on the end? It was definitely not something I expected, so I’m curious to know what others thought. I think I thought it was Abel, reliving his part of Judah’s life, things still coming full circle, but with a new member of the family. However, with us not knowing what happened to Judah, I like the idea he is basically eternal, and that he’s the one at the end. Jen – I thought the same thing, that in a sense Abel *was* Judah and that he was continuing the cycle. But Cassandra, I also considered the alternative. I think it leaves it open to either interpretation really, particularly since the narration is so fluid and there are moments when your perception of reality and storytelling is blurred (as in what you mention, Jen, earlier about who is telling the story). I thought it was a near-perfect ending, and for me, that’s a rarity. I thought the end was terrific. I liked the way Crummey left it vague and open to our interpretation. I have re-read the last few pages several times and I think it could be Abel or Judah. I liked the way the story was brought full circle, the end back to the beginning, the way history repeats itself. I love how you put that, beautiful! Can I just say – Jen and Nicole – how fantastic this has been? This sort of conversation is really why I wanted to get into book blogging, but it hasn’t happened often. 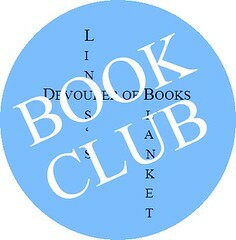 I think the book club is a great idea, and I’d love to participate again. Thanks so much for the opportunity to join in. I’m very sorry I wasn’t able to get back here lat yesterday afternoon and evening. But I really enjoy everyone’s comments about the book, especially since I didn’t like the book as much as everyone else did. It gives me another perspective from which to look at Galore. I only wish I’d talked with some of you while reading the book because I might have read it in a more favorable light! These discussions are great! Thanks Jen and Nicole for hosting this Book Club! I just finished Galore. It’s approximately 1 in the morning where I live lol, and I don’t know if I am just tired or maybe I missed something but I didn’t quite understand the ending. Was it supposed to be vague like that, where he leaves it up to the reader to create their own ending or is it actually Judah that is on the boat and repeats history by jumping back into the ocean? I didn’t even think it might have been Abel until I went back and re read the last few pages of this book. Is the face Judah imagines supposed to be Mary Tryphena or is it someone else? I feel like such a fool for not quite grasping the ending. But regardless I loved this book. I personally loved the narration and his lack of quotation marks. I liked how vague it was in terms of plot and pacing. I don’t know why, usually I’m not a fan of being confused or lost in books but for this one I didn’t mind. I liked how it sort of jumped from person to person and how I would always have to refer to the family tree to see who was who. Perhaps it was just the story telling that made me fall in love with it but I really really enjoyed the novel. That’s why I’m trying to decipher the ending because I hate when I read a great novel and don’t get the end. Takes away from the entire experience of a good read lol. It is supposed to be an ambiguous ending, I think, which of them it was, up to you to decide whether things are starting over, or Crummey is showing you the beginning from Judah’s point of view. The other people who discussed here have some interesting ideas.